Behind the ancient grains label, there is the world of all those grains disseminated in different regions of Italy until the early 1900s, and which they have not undergone researches and genetic modifications aimed to improve the yield per hectare of modern varieties. The grain cultivation, from which derives the current wheat as the well known Triticum aestivum (wheat) and Triticum durum (durum wheat), derives from the Fertile Crescent. In the mid-twenty-century, thanks to the agronomist Strampelli, there was the beginning of the “Green Revolution” with the selection of seeds depending on climate and soil to get better yields. 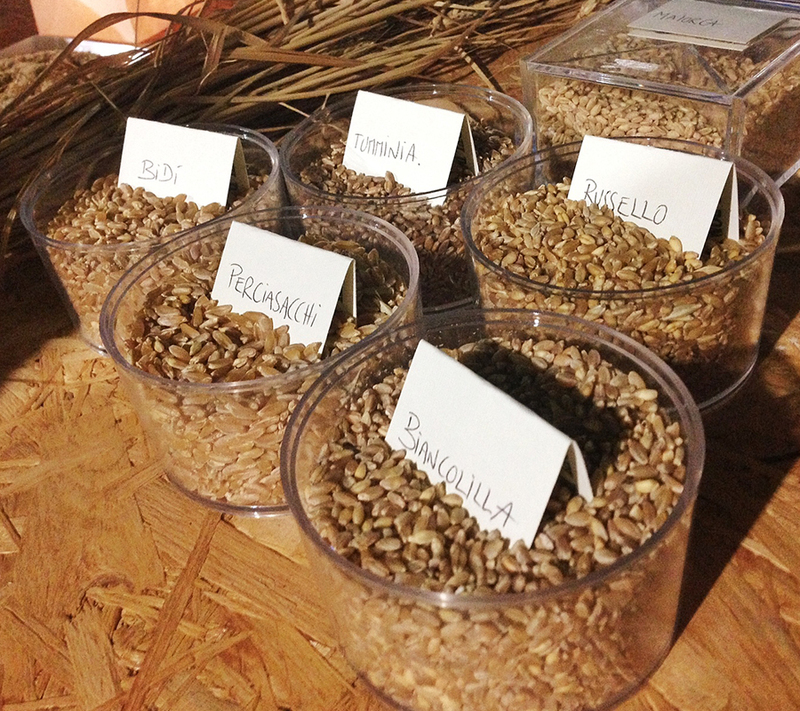 An important historic moment took place for the italian cerealgrow with the improvement of wheat varieties organoleptic methods. A significant changing of point of view that, little by little, still today, aims to the Biodiversity Protection. Our project is to cultivate grains naturally selected and suitable for our soil and microenvironment, sacrificing some yield to benefit the quality and the genuineness of products. The soil should be respected, and it is becoming increasingly necessary to recur to soil and seeds coevolution knowing, seed whose selection must be done in a healthy environment, finding varieties enable conforming the environment in which they live and makes them able to get from the soil what they need. 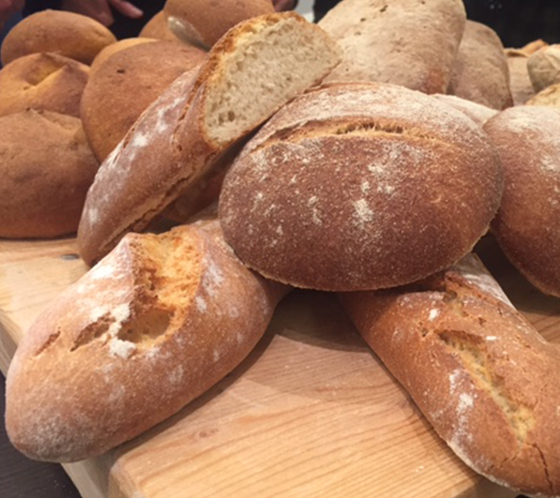 The microbiological quality and the health of the plant are both the same as the one of the soil, that, at a later time, they are in our bread. The “Strampelli method” was put in place for the first time in 1901. Strampelli proposed with his method the creation of a genetic variation through the crossing of different wheat varieties. The activity of crossing aimed to obtain new wheat varieties, although the tests did not delineate productivity but they were extended to production stability, to precocity, to resistance, to lodging and to grain quality. Nowadays, the most common wheat species are still durum wheat and soft wheat and they are both different in morphological and techniques. Defining and positioning wheat species says it all about the techniques to follow to make bread. 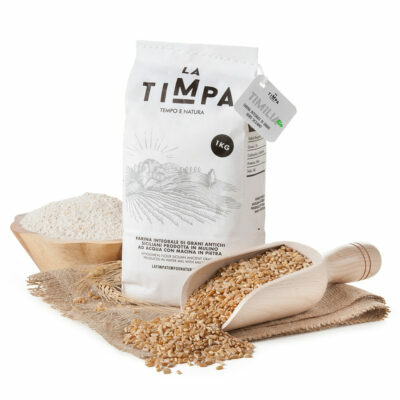 In Sicily the durum durum wheat is the most common, and in particular the russello and tumminia grains. 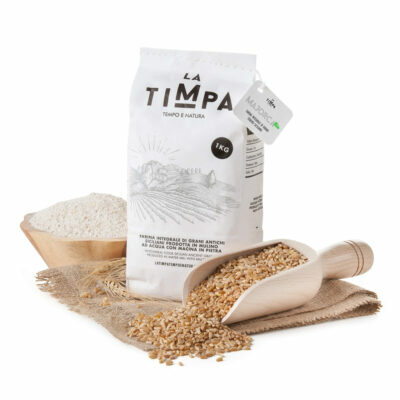 The tumminia is one of the oldest Sicilian durum wheat varieties, it has a late seeding that takes place in March with the wheat harvest in June, it is suitable for drought so suitable for our region. 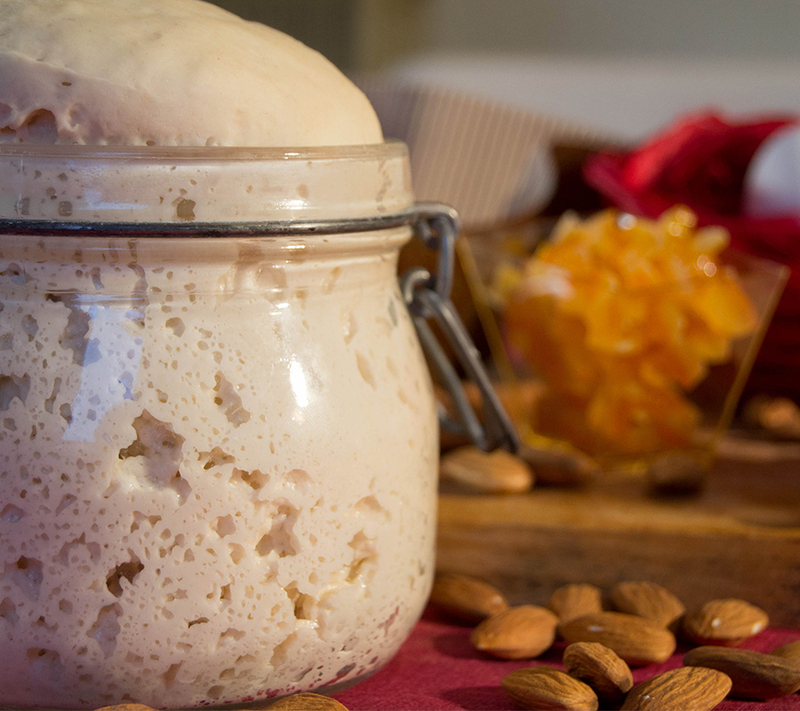 Russello with tumminia wheat are the oldest grains of the island and its flour is used to the production of typical pasta dura bread in the provinces of Ragusa and Siracusa. 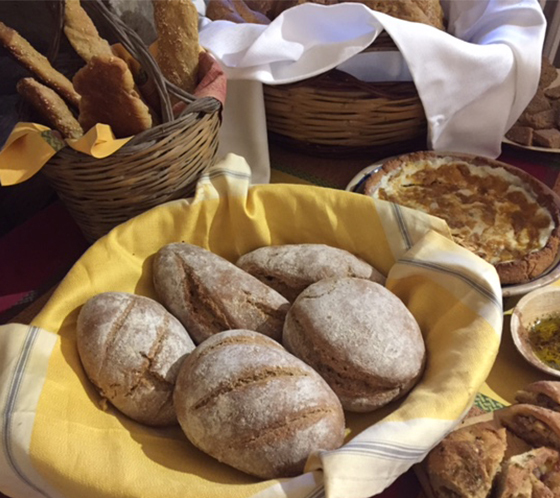 The majority of bread qualities are linked to the type of wheat from which it is obtained and it is essential the role of the ancient grains, those ones have not undergone human intervention of selection. They are often discarded because they are less fertile, these varieties have less effect for food intolerance, because they are less rich in gluten. The grains selection is not the only variable to consider, the milling is also fundamental and in our farm it is made with the stone-mill, and even the matter of the yeasts, naturals or sourdough, with the variety of methods and tools related to cooking, from the traditional ones to modern ones. 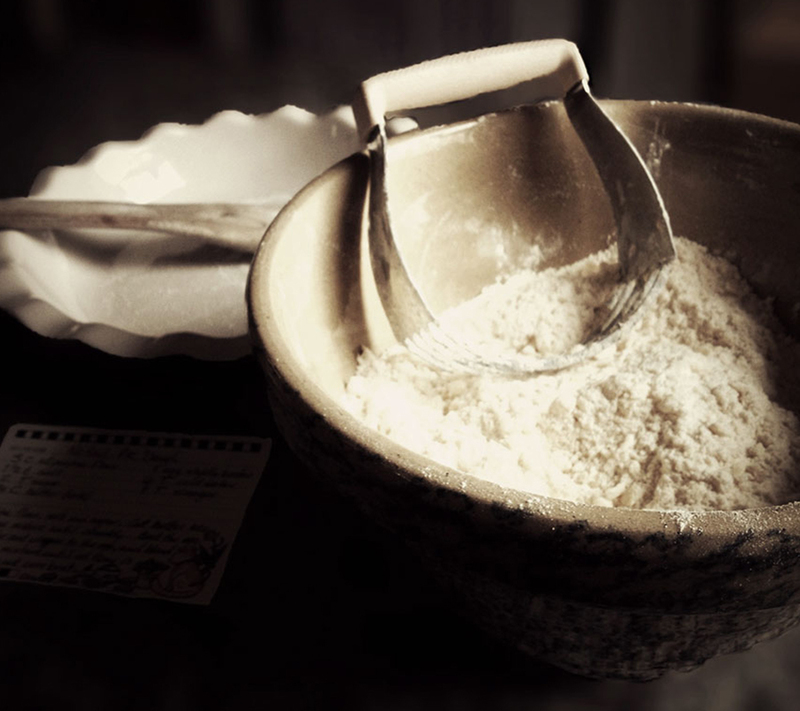 All these are the peaces that make up the immense mosaic representing the world of bread, its quality, its tradition and characteristics related to its production. 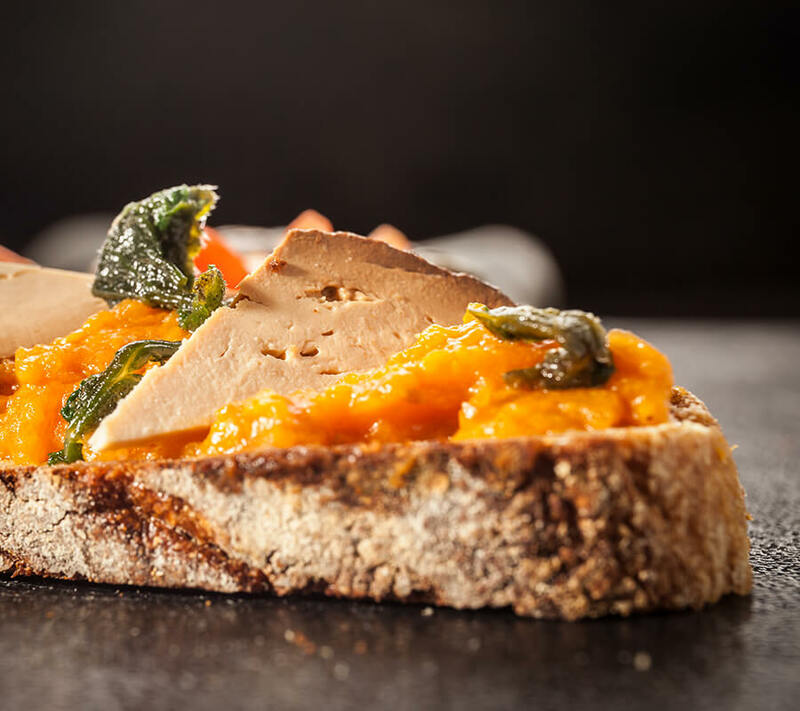 The simple flavors give the same pleasure of the finest ones, a glass of water and a piece of bread give pleasure to all those who miss it.